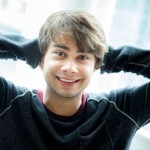 Alexander Rybak and Dennis Storhøi captivated a large audience of children and adults in Litteraturhuset Saturday. Storhøi used both voice and facial expressions in the reading to create atmosphere and Rybaks fiddling was captivating. 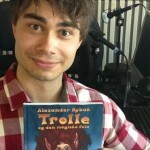 The two are on tour with Alexander Rybaks debutbook about “Trolle and the magic fiddle”. It is an adventure about being different and about accepting what is different in others. 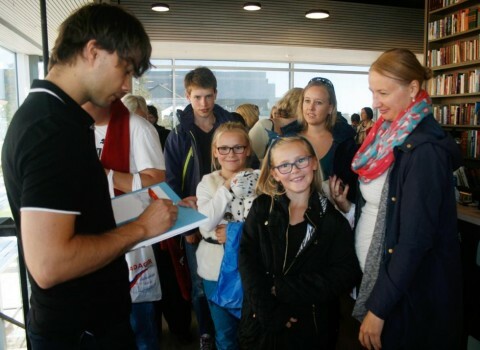 Rybak has previously admitted that his book, on which he spent three years, is partly autobiographical. Trolle has no tail, feels lonely and is therefore teased and bullied. 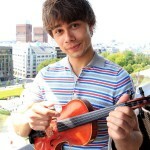 Rybak was born in Minsk, White Russia, had to go home and train for the violin after school hours and felt at times ostracized. 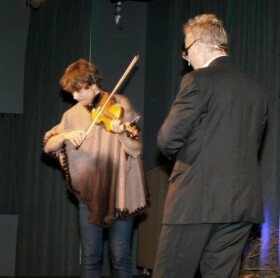 Storhøi and Rybak alternated between reading from the book and play self-composed melodies. In addition, they brought four “Troll-kids” who danced. 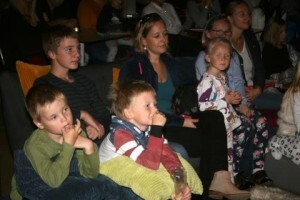 The children were invited up to the edge of the stage where both artists communicated with them. The story caught both large and small, but Storhøi would not reveal how it went with Trolle. 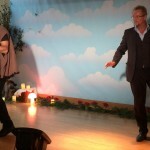 Rybak and Storhøi at the end of the show, made everybody promise that they would not bully others. They were holding hands and promised to be kind. Friendships are also central to the plot of the book. The book, which also contains an audiobook, was sold after the show. There was a long line in front of Rybak, who both signed, talked to the kids and let them take a picture of themselves with him. 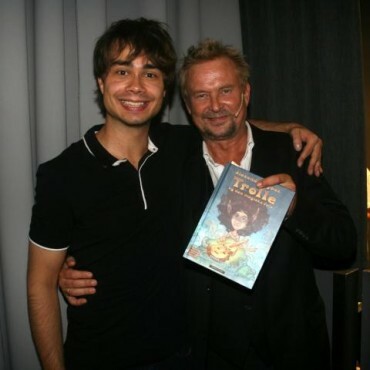 Alexander Rybak plays Trolle fiddle while Dennis Storhøi reads from the book. 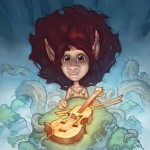 with how “Trolle and the magic fiddle” has been received during their tour.